Paint the Town Pink is a collaboration between Winnie Smith and Daniel Deosaran, artists currently studying at the San Francisco Art Institute. Both sharing a passion for collaboration and all the growth that it entails, we often work together on editorial shoots and personal projects. 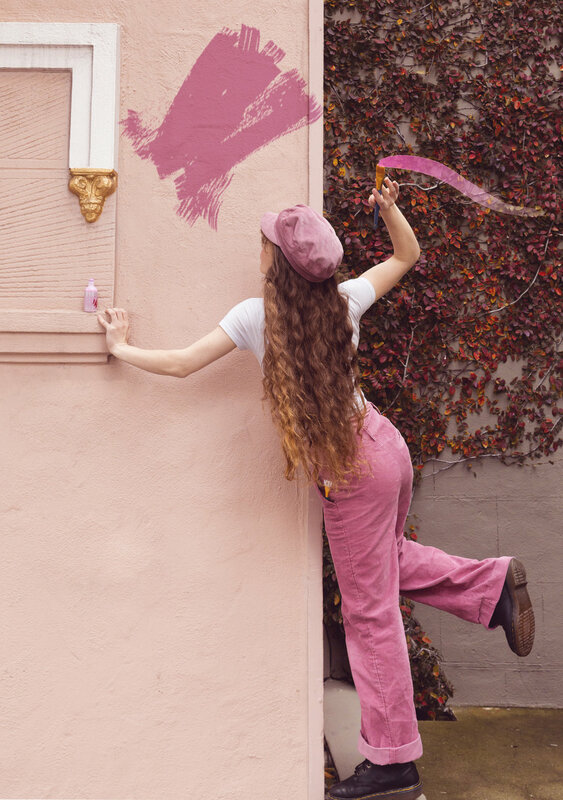 We wanted to create something new especially for Pink Things, and rather than searching for the sweet color around the city, we decided to bring the pink with us. Our narrative began with sitting on the dull, concrete city steps until the idea to splash color around the city changes the story completely. Creating this photo set led us on an adventure full of color and we hope this is emanated throughout the photos. Model and Styling by Winnie Smith. Winnie Smith is an artist and model in San Francisco. Daniel Deosaran is an artist in San Francisco.